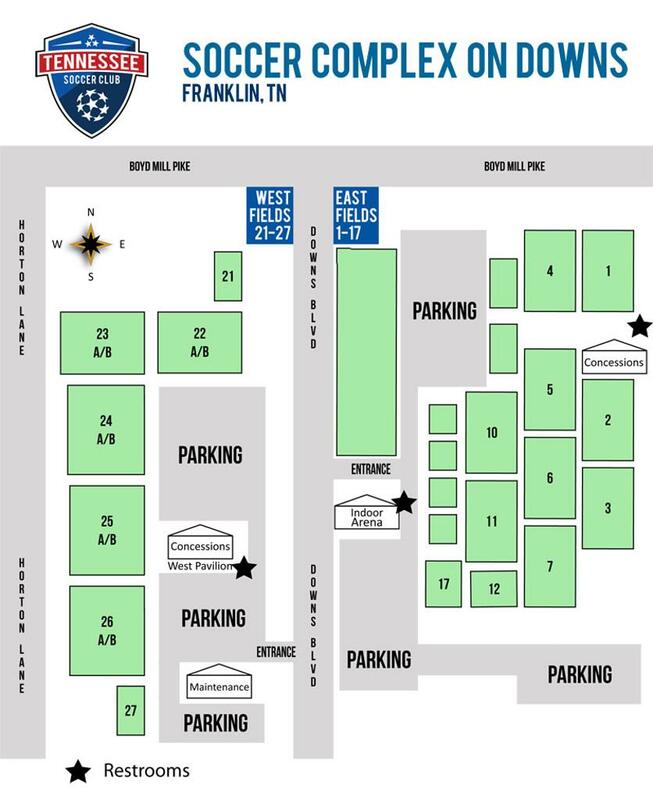 The Williamson County Soccer Complex is in Franklin, Tennessee. ... then turn South on Downs Blvd. Cross Boyd Mill Ave. West fields (21-27) will be on the right. East fields and the Indoor Arena will be on the left.